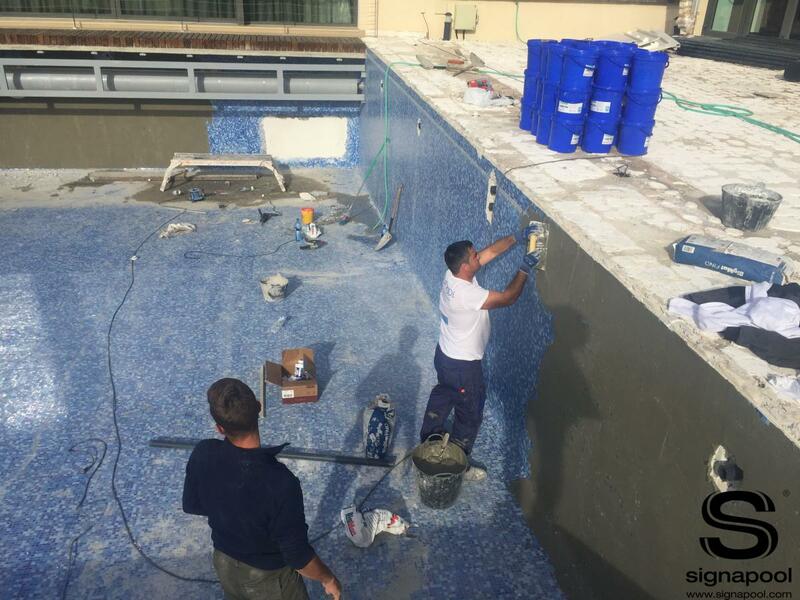 In order to correctly repair pools, the problems need to be detected early on. 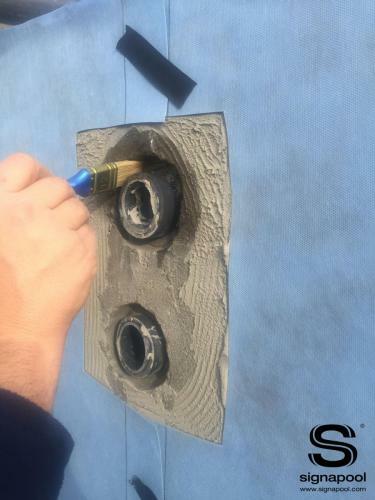 If the problem is structural, the shell should be repaired, which is usually very expensive. 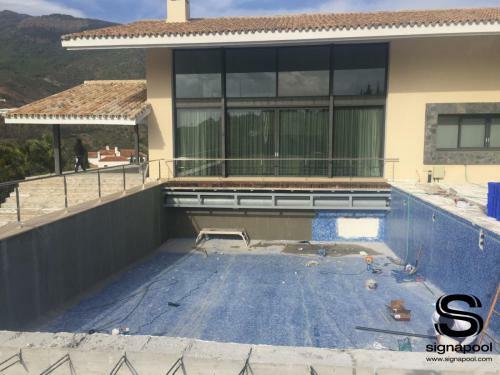 If the problem with the pool involves water loss (as a result of either the installation or structure), it’s important for you to know that this can be repaired. 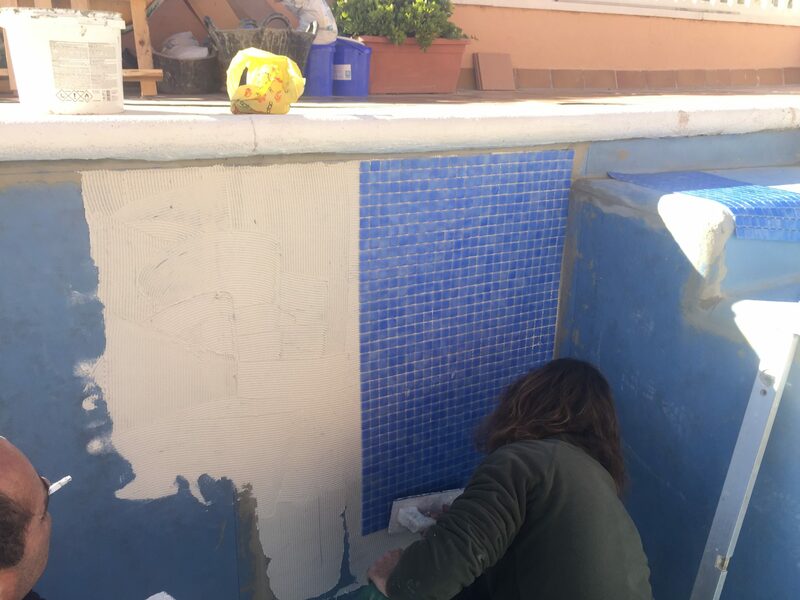 The first thing to do is to verify if the water loss is through the tubes or through the pool shell. 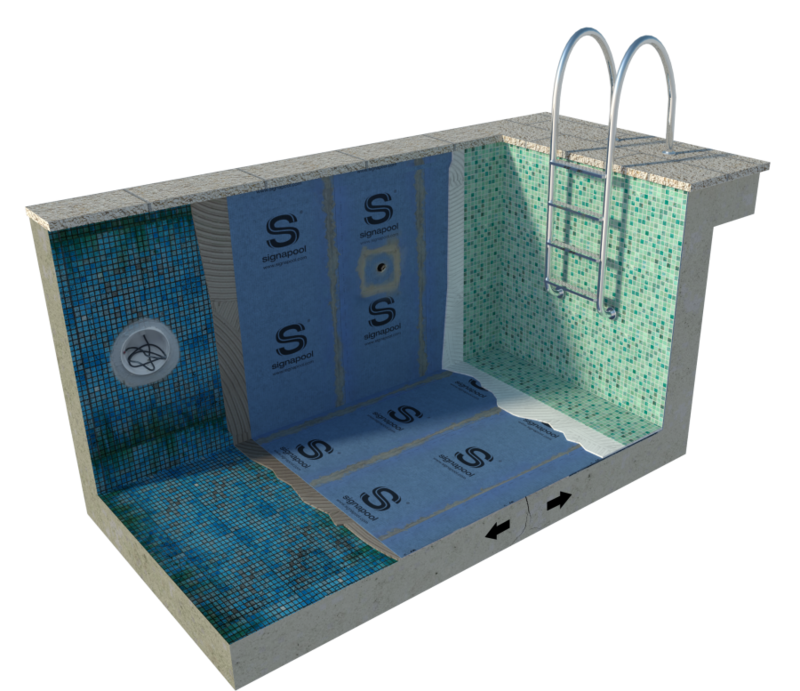 To check this, you can contact a specialised company and they will carry out the necessary pressure tests. Concrete pools generate small cracks that are not visible (since they are under the tile). 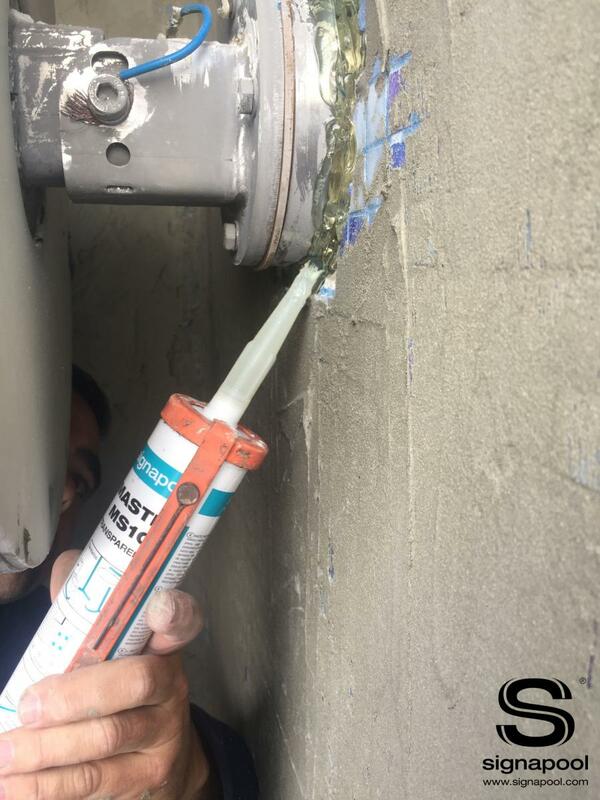 There are several reasons why they can appear: age of the structure, land movements, water pressure… These small cracks don’t generate any structural problems but they do create sealing issues. When it comes to repairing a damaged pool, you should know that common waterproofing materials are not permanent. 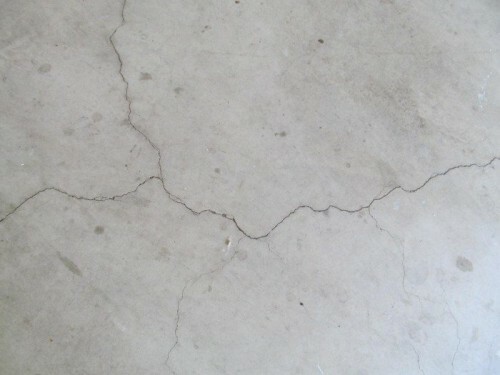 That’s because they can’t withstand cracks larger than 0.05mm and the material itself ends up cracking. 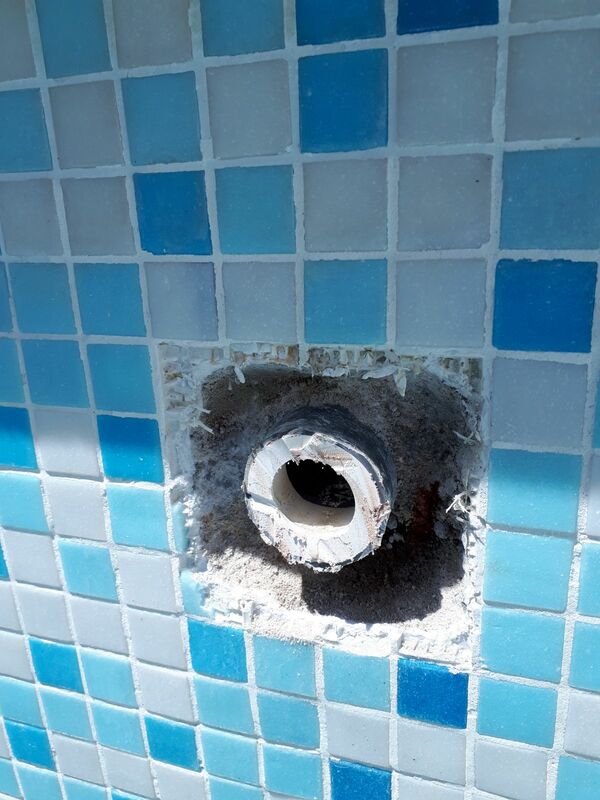 For this reason, we recommend our Signapool system for pool repair. The Signapool system is a comprehensive and complete system that guarantees your pool will be fully sealed. 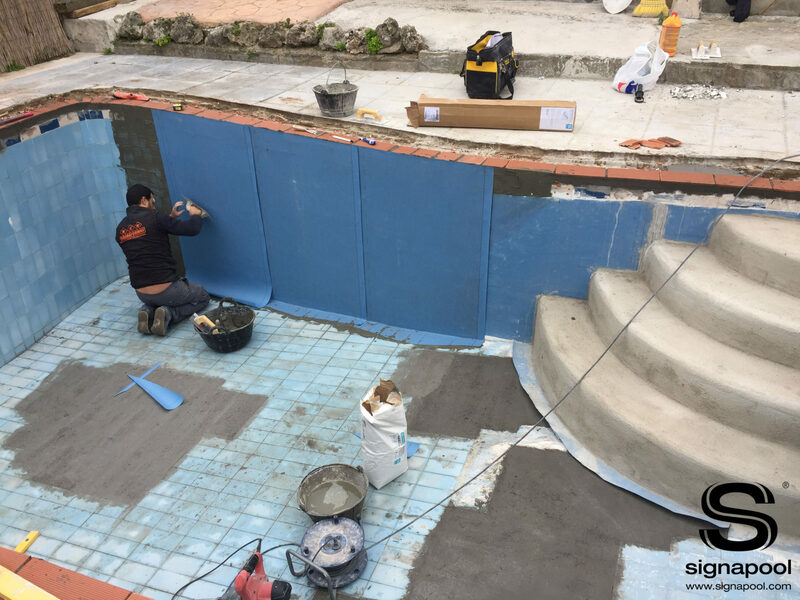 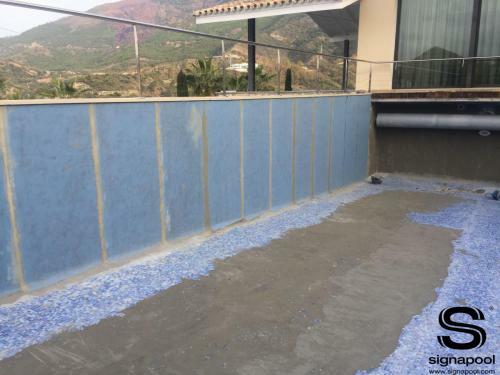 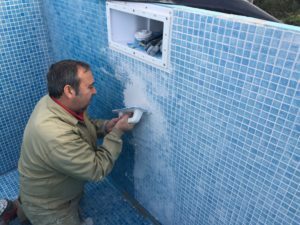 The Signapool system is a flexible waterproofing system for the repair of pools with a ceramic finish, capable of supporting cracks up to 3mm. 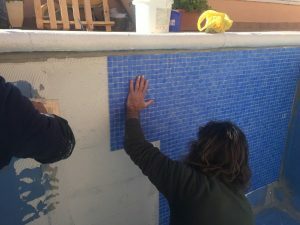 It can be applied to both newly-built pools on the cement base, or to the existing tile in the case of pool repairs.. 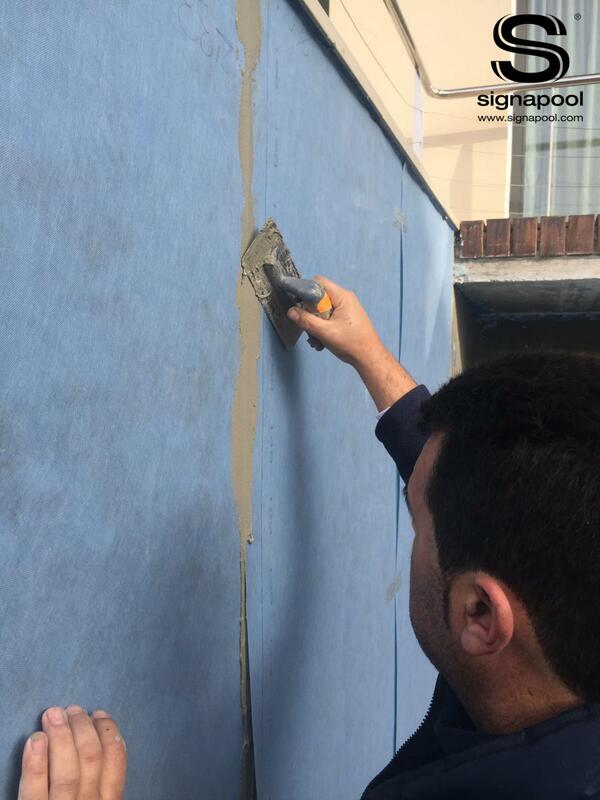 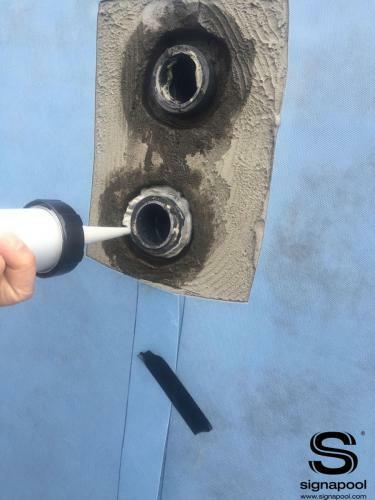 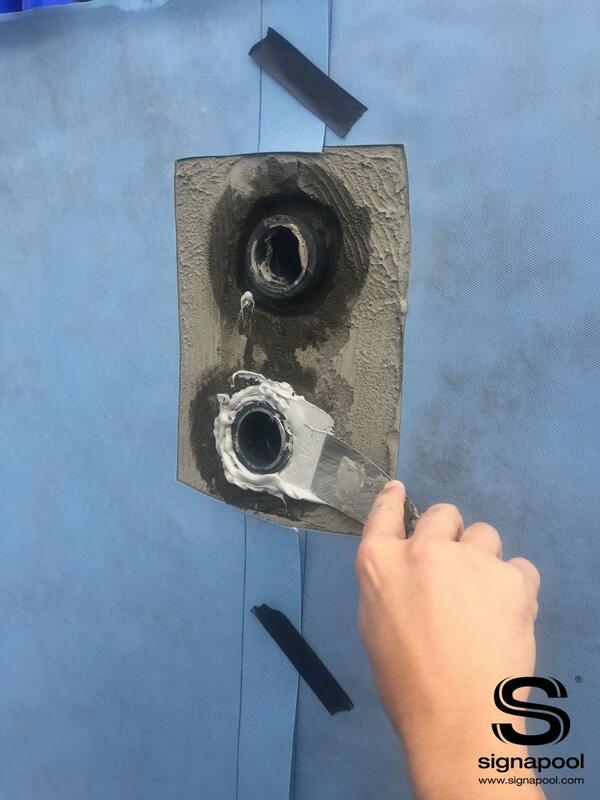 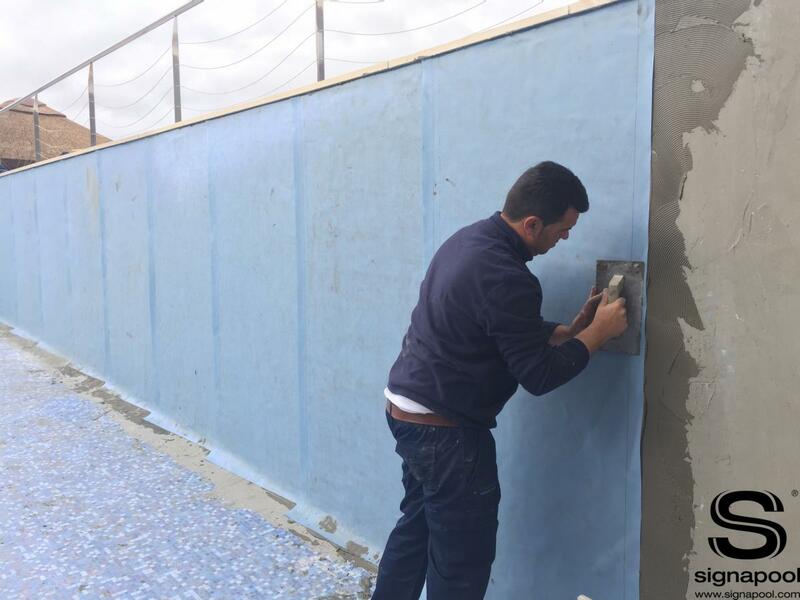 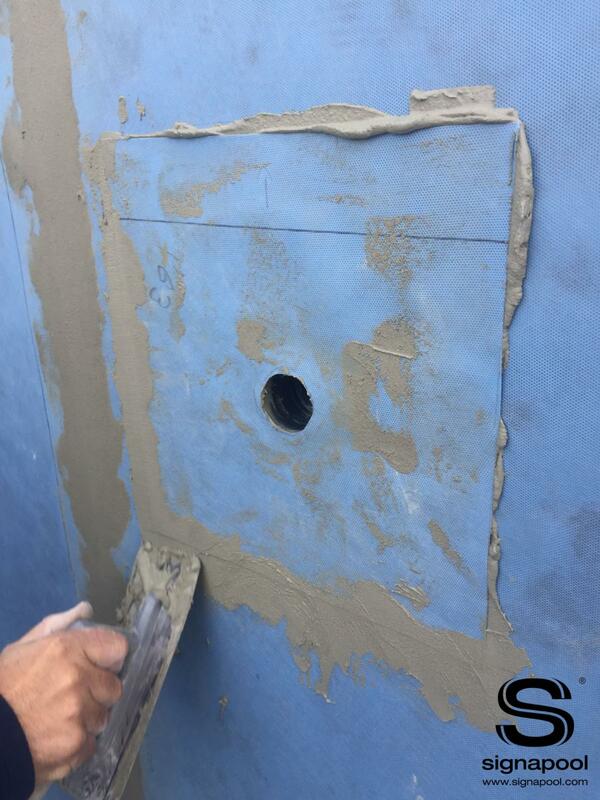 In addition, the Signapool system ensures a waterproof seal in between the structure and the accessories thanks to the S Sealer, which is a waterproof and elastic sealant that adheres great to concrete and plastic. 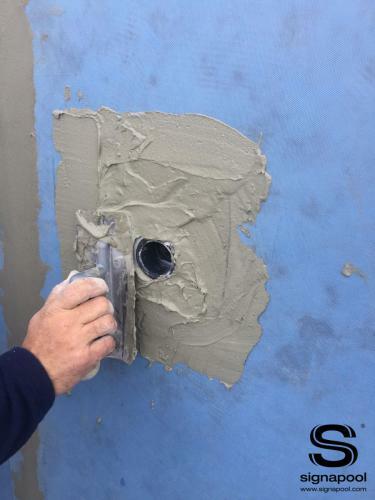 Mix all three components with an electric mixer. Spread the product using a hard rubber trowel. Apply the product to the joints diagonally. Gather all excess with the same rubber trowel. 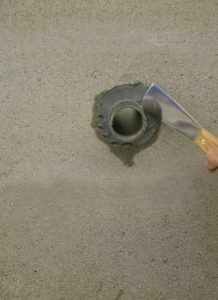 Immediately after, clean the area with water and a Scotch-Brite sponge using circular motions. Then soak up this mixture with a sponge trowel.